With the UPI Offers, we can spread how to do fastest digital transactions and avoid cash transactions as much as we can. You should not miss this deal and grab it at the earliest. Also read the term and conditions given below before doing the transaction. Get Rs. 50 as cashback for free in your paytm wallet on doing first UPI transaction worth Rs 50 or more at Paytm using Paytm UPI Offers. You can grab this exciting offer valid for limited time. Paytm is very well known marketplace which offers so many exciting cashback and discount offers. This time you can get upto Rs.1000 for free by just sending money to your friend’s UPI address using new UPI address. Customers have to create new UPI address and complete their KYC on Paytm to be eligible for this Paytm UPI send money offer. This is an excellent initiative to promote digital transactions among people. 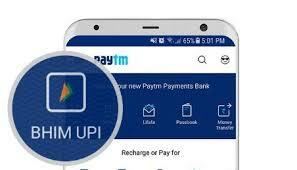 Paytm UPI offer: Pay using web or app and get upto Rs.1000 cashback on Paytm upi payment. Once per User per day. All Merchant can avail this offer. Pay online bills, DTH recharge, prepaid recharge through Paytm app. and get a discount code on everything. Transfer money and get Rs.20 for every UPI referral. Get upto Rs.10,000 cashback. If you have any new offers let us know by comments and it will be helpful to many. On your Paytm App go to BHIM UPI > transact. Paytm UPI (Unified Payments Interface) is an amazing platform which helps to do banking transactions easily. Now you can get free Paytm cash worth Rs 50 on using UPI address for the first time on paytm. The winning amount will be in the form of cashback in the customer’s Paytm wallet which can be used further for shopping, bill payment or recharge. After using this offer, you will learn how to use UPI for sending payments from one bank account to another and save little in your pockets. So hurry up and pick your smartphone to generate UPI address at Paytm and then grab this offer. Paytm is not a typical online shopping store. It facilitates some additional features like Paytm wallet, Paytm bank etc. Now it has introduced UPI feature with an exciting cashback offer. We must learn this UPI feature and start doing our daily transactions by avoiding cash transactions. Unified Payments Interface is connectivity of our mobile number with our bank account which gives us control or says access to it to make payments. Sometimes there is no sufficient money in our digital wallet; then we can pay from our bank using UPI feature of Paytm. • The customer has to use newly created UPI address for sending money. • KYC must be completed to be eligible for this offer. Ignore if already done. • The cashback amount will be credited within two days of completing the transaction. • The minimum transaction should be of Rs 50. • This offer is valid until 30 April 2018. The Unified Payments Interface feature of Paytm is entirely safe and easiest one to send money from your bank account. There is nothing to worry about this UPI feature for transacting. You can perform your routine transactions efficiently. Paytm is the largest contributor to the volume of UPI transactions in India. Paytm has registered 6.8 crores UPI transactions in February. Paytm is considered as the most popular money payment as well as money transfer platform in India.